Mr. and Mrs. David C. Ruttenberg, Ruttenberg Arts Foundation, Chicago, Illinois; gift to NGA, 1991. Dürer to Diebenkorn: Recent Acquisitions of Art of Paper, National Gallery of Art, Washington, D.C., 1992, no. 85. Harry Callahan: Color, Providence, [Rhode Island], 1980, illus. pl.31. Stevens, Nancy. 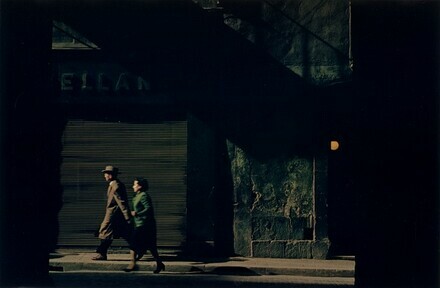 "Harry Callahan: A man revered for his black and white observations has been quietly working in color for years," American Photographer (October 1980), illus. p.70.